It is hard to believe that it is the middle of December already! Where did the time go? I had a long list of home maintenance to-do items that I planned to attack over the summer and fall and here we are and I think that I’ve only crossed off half of my list! While home maintenance is a never ending task, we hope you’ve been able to tackle a few items off of your list. I was not able to tackle everything on my ever-growing “Allison-Do” list, but it was a very productive repair season at LakewoodAlive! The Housing Outreach Program had another wonderful year, hitting all of our goals, meeting new people and tackling unique projects! 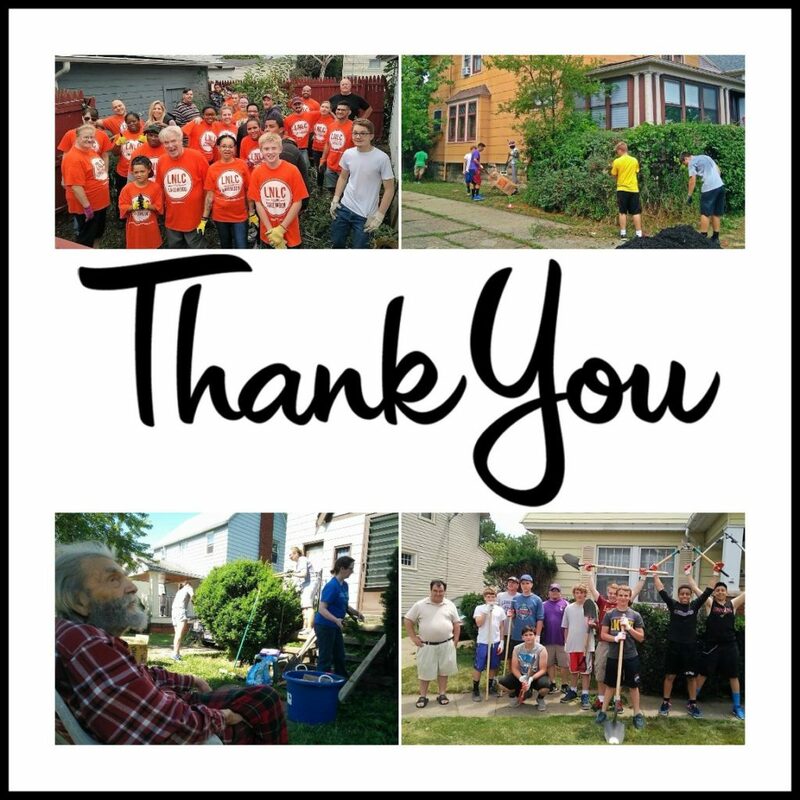 We had 347 volunteers donate 1,577 hours of community service to 31 homes throughout the city contributing to over $34,000 worth of improvements. Our Paint Program had 12 completed houses, generating $40,000 in paint improvements within the city. These repairs collectively generated more than $70,000 of positive improvements for our neighborhoods. We are so thankful and proud of our volunteers and supporters. We cannot thank you enough for your dedication and support to make Lakewood a wonderful place to call home. Our mission is to foster and sustain vibrant neighborhoods and with the help of our supporters and volunteers, we are able to do just that, one house at a time. We work to build relationships so that we can empower and educate residents to maintain and sustain their homes. Our goal is to have each resident living in healthy and safe housing and our volunteer, education and paint programs are a just a few ways that we are accomplishing that goal. Without each and every one of our volunteers, we would not be able to have the impact in the community. We appreciate all of your time and talent! We are excited to get working in 2017. As with any program, in order for us to continue to offer relevant and current programing, we look to you. We encourage you to contact our office (216-521-0655) with ideas or suggestions on how we can serve you better. We continue to offer our contractor evaluations on our website as well as in the office. We are also happy to review estimates or repair contracts to make sure that you are getting what you’re expecting. So when you are waking your home up this spring or if something unexpected happens like your furnace goes out, give us a call.